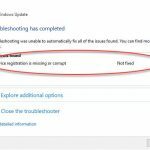 If you receive “The system administrator has set policies to prevent this installation” error message when trying to install any new program or modify existing program in Windows 10/8/7, this fix is for you. 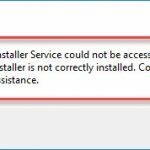 This error message is from the Windows Installer feature and it actually appears while you are trying to install any new program or modify existing program on your PC. The error is not a dangerous one, you can try the below solutions and check if they help you. Try the tips and tricks below and see if they help you. 1. 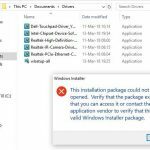 Try installing the program/software by running the setup file as administrator. 3. Temporarily turn off the third-party antivirus you’re using, if any. 4. 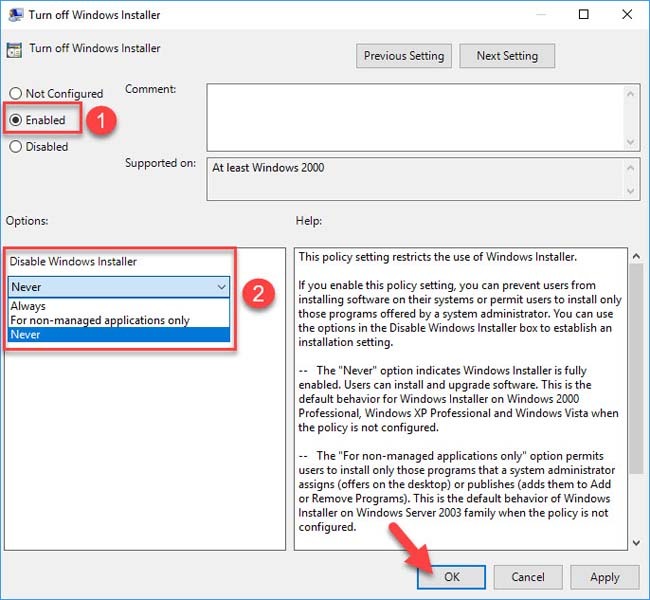 Temporarily turn off and disable User Account Control (UAC) and try installing your program/software. If none of these tips here, try the methods mentioned below. Step 1. Click Start menu and type “cmd“. 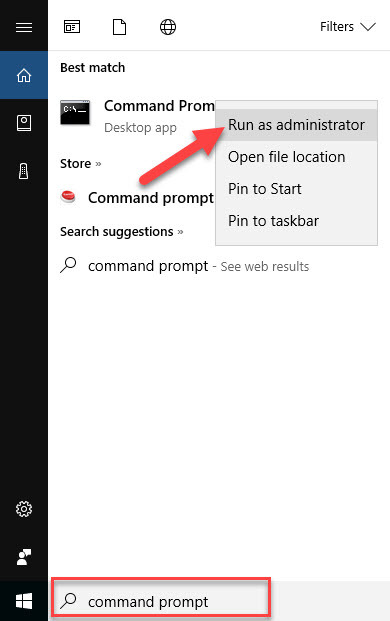 Then right-click on Command Prompt in the search results and click on Run as administrator. Step 3. You can close Command Prompt window and reboot the machine. After restarting your computer, you will see a new user account with the name “Administrator”. Select it to log in. Using this account, you can install or modify anything you want. Step 1. 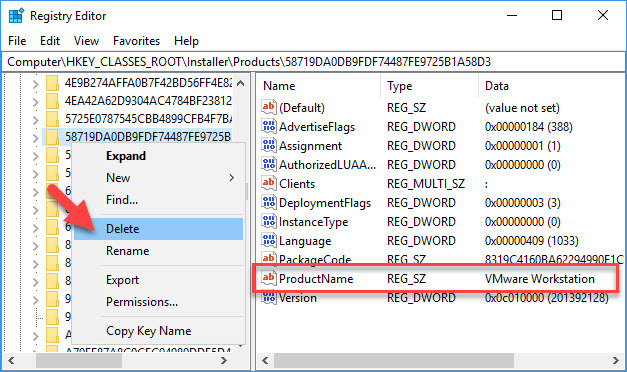 Press Windows Key + R then type regedit in run dialog box and click OK. Step 3. 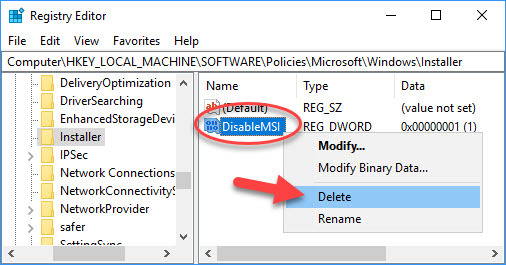 In the right pane of Installer registry key, look for DisableMSI registry DWORD (REG_DWORD) and delete it. Step 5. 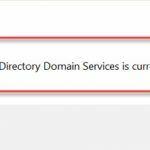 Expand the Products registry key and search through the list until you determine the program/product for which you’re getting this problem. Step 6. 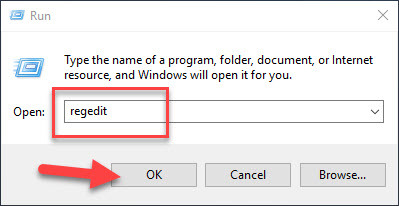 Once you verified the registry sub-key which should look like a folder, delete the entire folder by right-clicking on it and clicking Delete. Close the Registry Editor and restart your system. After that, you should be able to perform program’s modification/installation. Step 1. 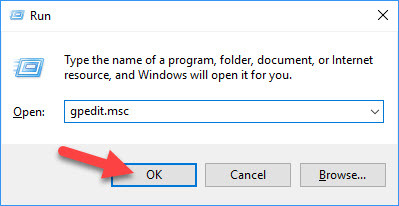 Press Windows Key + R then type gpedit.msc in run dialog box. Click OK to open the Group Policy Editor. Step 3. 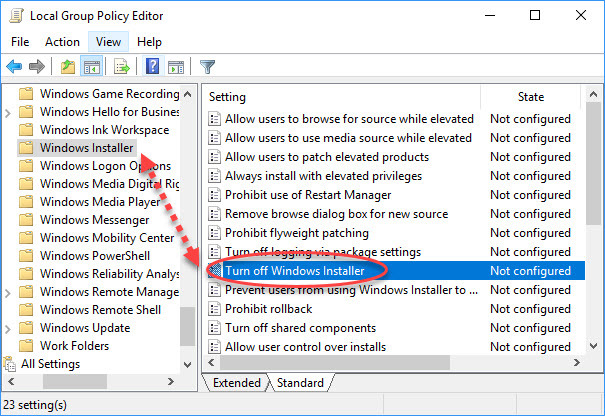 Find the Turn off Windows Installer policy option. Step 4. Double-click on it and then tick the box next to the “Enabled” option and change the Disable Windows Installer option to Never. Click OK to save changes. Restart your computer and then check to see if the error message still occurs. Hope something helps you. Please let me know if you have any questions.